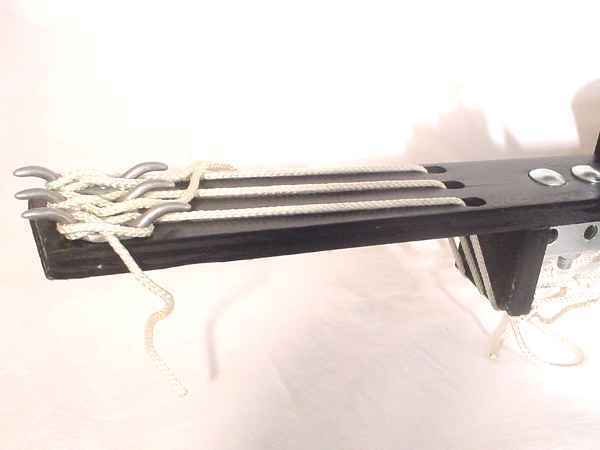 This is a view of the cleats used to change a pre-load of the offset spring tension. This adjustment is relatively coarse and the cleats allow a quick change in length. The tuning pegs are mounted on top of the neck to make way for the 1 inch steel tube used to provide rigidity to the neck. Small amounts of flex cause crosstalk between tuning of the different strings. 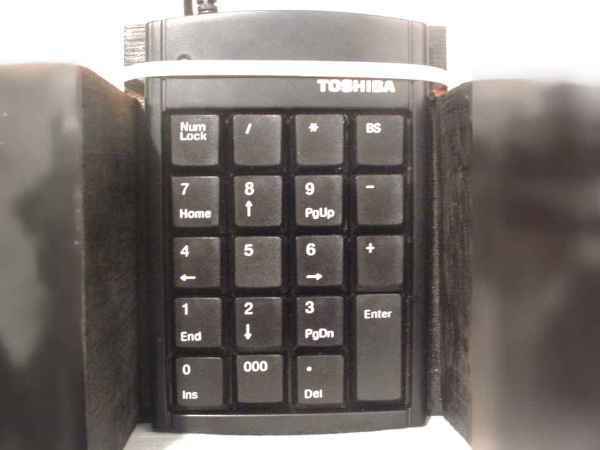 A standard number keypad is used for controlling the notes or chords, providing a more versatile two-dimensional mapping of pitch to location than provided by a standard fret system.